Update: I’m cold. If you’re British, you probably just got very concerned for my mental state come January. If you’re from California, you’re probably more sympathetic, sitting there in your t-shirt and flip flops. Apparently the last several weeks have been abnormally warm for October in Edinburgh, lulling me into a false sense of security. 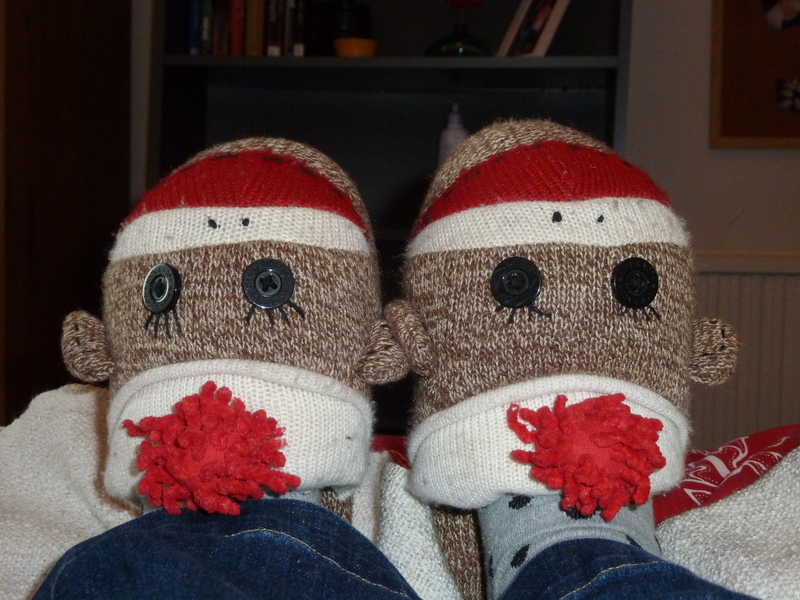 Let me tell you how I’m coping with this sudden turn of events: Tea, my ridiculous monkey sock slippers, tea, my second- hand felt blanket, and tea. I am becoming very attached to the slippers and blanket, and increasingly dependent on the tea. Is fleece a better word? i think the it’s the “second-hand” that did you in. i agree with caitlin on the disgusting part. the fabric is irrelevant in this situation.